In this day and age, cosmetic surgery is just as socially accepted as getting your oil changed. Thanks to modern science and technology, it is completely possible to completely alter your entire physique in absolutely no time at all. However, there are those who take it too far, and what starts as simply freshening up to make one appear more trim, curvy, or youth, can quickly progress and develop into a severe addiction. The most notably recognizable transformation in recent history would be the King of Pop, Michael Jackson. Many joke he went from looking like a sweet little African American boy, to a Caucasian woman, in the matter of a couple of years. However, such a drastic transformation was clearly symptomatic of many complex, deep-rooted mental health issues and insecurities. 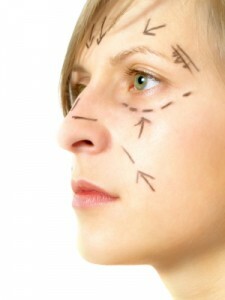 While on the surface, addiction to plastic surgery may appear as excessive narcissism and a natural propensity towards vanity, the core of this addiction can truly be traced back to a severe psychological disorder called Body Dysmorphia.This mental illness causes people to perceive themselves as an exaggerated, grotesque version of who they really are. Body Dysmorphia often comes up with those also suffering from anorexia and bulimia, and it is the distorted image that serves as the driving force and motivator for their choices and behavior. Also, like anorexia and bulimia, a person addicted to plastic surgery also has issues with control, in conjunction with low self-esteem. They hate how they perceive their outer appearance, a perception that objectively is considered false, but they are willing to do anything within their power to change their physical looks. Like many addicts, those who are addicted to plastic surgery live with the mentality that, “If I just do this one more thing- If I get this ONE nose job”, or “get my breasts enlarged ONE MORE cup size”, or “get this ONE chin implant….THEN I’ll be done”, but the fact of the matter is, it’s never enough. Like any other addicts, those addicted to cosmetic surgery have an insatiable hunger for the unattainable, which in this case would be physical perfection. They continuously chase this idea of “the perfect physique”, to no avail, because frankly, there is no such thing. In reality, the problem isn’t their looks; the problem is an inability to embrace, accept and love who they truly are. It is inevitable that a person will experience feeling out of control at some point in their life, and difficulty coping with such moments can manifest itself in many unhealthy ways. A person addicted to cosmetic surgery feels a sense of security when they are able to control all components of their physical appearance. Truth is, this preoccupation and obsession with correcting what they genuinely perceive as defects, is a dangerous addictive behavior that is plagued with risk and ultimately they will be unsatisfied, no matter what they do. They will continue to place themselves at risk and mangle their bodies, until they either go into debt, experience complications during surgery, or become completely unrecognizable in the worst way. If this sounds like you or someone else you know, there is another safe, healthy, and effective way to achieve self-love and satisfaction- no knives, no anesthesia, no post surgery pain management pills. Hypnosis is a safe and effective way to overcome these issues. Treatment offered at Gluck Solutions will help you to escape this vicious cycle of self-loathing and self-destruction. Hypnosis places your brain in a vulnerable state, thus allowing it to be more susceptible to positive and constructive thinking by subconsciously instilling a sense of positive motivation and increased self-esteem. Clinical hypnotherapy uses the science of neuroplasticity, which essentially allows the brain to completely re-wire itself so what was once habitual is now less desirable. I have the skills to completely alter your process of feeling and thinking. Gluck Solutions has all the tools to help you defeat this terrible, potentially life threatening addiction. Through our unique hypnotherapy program, we will identify the root of your problem and tackle it directly at the source. My advice is to try and love yourself for who you are, and if this seems like an insurmountable task, then allow me to help you. If you are feeling lost, I will help find you again. I want to help, so please pick up the phone and make an appointment. (212) 599-3159. When You’re Addicted, You Lose Your Free Will. This entry was posted in addiction nyc, hypnosis nyc and tagged addiction, body dysmorphia, hypnosis for addiction, plastic surgery by Dr. Errol Gluck. Bookmark the permalink.